Senoko Waste-to-Energy Plant (Senoko WTE Plant) is the third waste incineration plant built in Singapore and is one of four incineration plants currently operating. It was commissioned in 1992 with a land area of 7.5 ha. Senoko WTE Plant is equipped with six incinerator-boiler units with two condensing turbine-generators offering a power generation capacity of 2 x 28 MW. Waste incineration is carried out at the plant 24 hours a day throughout the year. Senoko WTE Plant underwent a flue gas treatment system upgrade in June 2012, which was completed within the contracted timeframe and budget, and with an accident-free safety record. On 26 September 2014, the trust entered into an agreement with NEA to progressively increase the contracted incineration capacity of the plant by up to 10% from 2,100 tonnes per day to 2,310 tonnes per day between July 2015 and September 2016. The capacity payments from NEA were correspondingly increased with the completion of each incineration unit upgrade, with the sixth and final unit upgrade being completed with effect from 1 September 2016. Following the decommissioning of Ulu Pandan Incineration Plant by the Singapore government in August 2009, Senoko WTE Plant became the only waste incineration plant located in the northern part of Singapore. 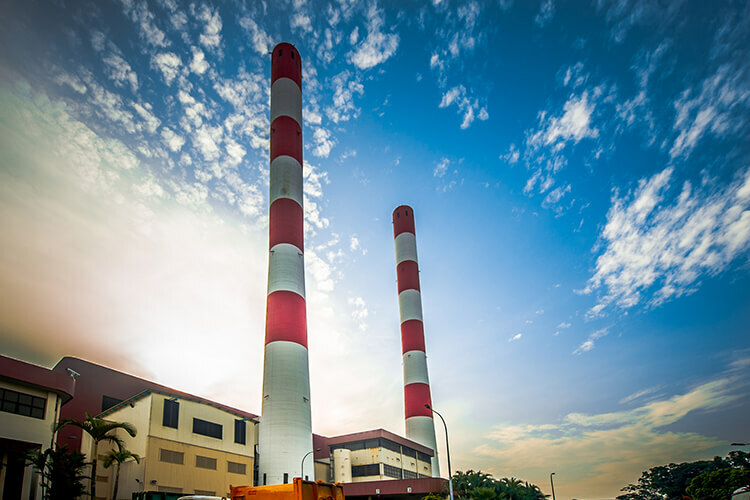 The plant is also the only waste incineration facility located outside of the Tuas area (which is in the western part of Singapore) and this positions it to serve the eastern, northern and central areas of the country.